I salvaged this for my 79. $15. It is much needed and fits perfectly. 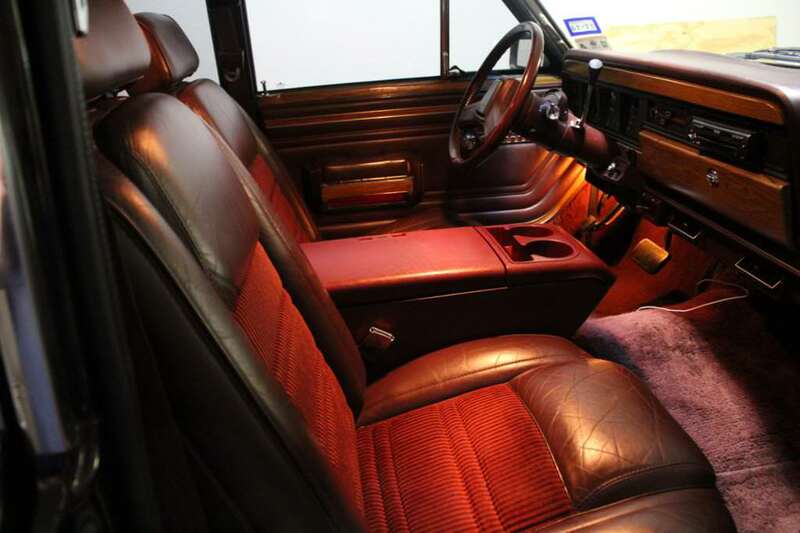 Your seats look alot like mine, I put some in from a Dodge Dakota, I also used a center console from a GM product, mine was from a Tahoe. There were holes already in the bottom. I used a couple of heavy short self tapping screws and it's rock solid. Good job and nice find! EZ EFI status: Running Smooth! lid and body textures did not match. Its made of ABS so you can paint it any color. There is a cup holder that fit were the CD holder is. Yes, I still need to wash and disinfect it. I did not know there was a cup holder for the CD holder option. I will search for one. It is much needed. I will post pics for the mounting hardware and mounting process. 18 bucks ? nice find !!! they both work and fit well. with S.E.M. dye or equal product. it would make a great poster ! i wish my wagoneer had manual windows and door locks !!! Dave. Thanks for the kind words! The 1988-1994 console is what I'm looking for in the salvage yards. When I found mine, I had to use parts from several consoles. One had a good base, another a lid that wasn't broken, and another had the cupholder. FYI, under the cupholder is a great place to hide things! How comfy is it? It looks like just the right height to rest your elbow when driving. I feel its better than the stock armrest. My square Suburban/Tahoe center console. Cup holders were a must. That's the style of armrest I want. No luck yet finding one. Found this in a pick and pull. Cheap. Couldn't pass it up. Not sure what I will use it for. It can just sit in the back seat for now.